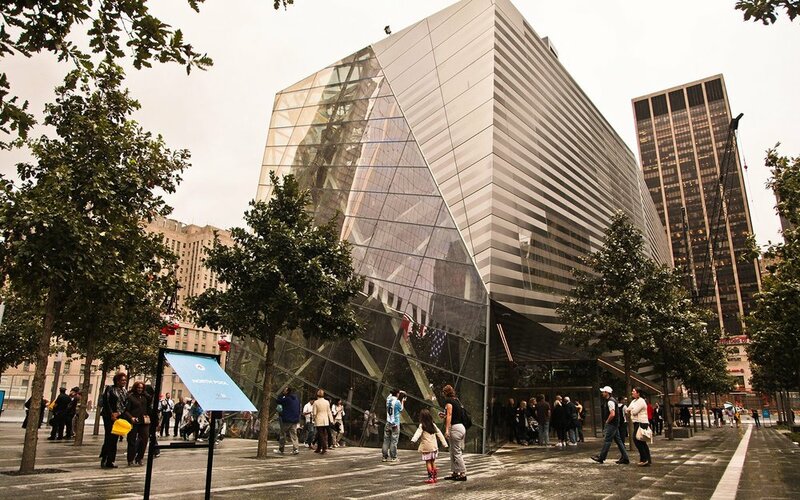 The National September 11 Memorial Museum at the World Trade Center bears solemn witness to the terrorist attacks of September 11, 2001 and February 26, 1993. The Museum honors the nearly 3,000 victims of these attacks and all those who risked their lives to save others. It further recognizes the thousands who survived and those who acted with extraordinary compassion in the aftermath. Demonstrating the consequences of terrorism on individual lives and its impact on communities at the local, national, and international levels, the museum attests to the triumph of human dignity over human depravity and affirms an unwavering commitment to the fundamental value of human life. PRICES QUOTED INCLUDE BUS TRANSPORTATION FROM SPRINGFIELD PA AND YOUR ENTRANCE TO THE 9/11 MUSEUM. Itinerary for the day: Depart O’Hara parking lot by 9am sharp. Arrive in front of the 9/11 Memorial around 11:00 or 11:15, You have time to wander around and grab a bite to eat before we line up at the group entrance at 12:15 for our 12:30 tour. This is not a guided tour it is very self explanatory with audio and video as you move through the museum. Be prepared for a highly emotional experience as you relive the day the entire world held its breath. You may stay as long as you like in the museum, two to three hours should allow you to experience everything. If you are interested in joining us for a tour of the newly opened “ONE WORLD OBSERVATORY”, I have scheduled this tour for 3:30. it is in the same location as the museum so we will just walk over. The SkyPod Elevators climb 102 stories in 47 seconds. This astonishing ride reveals the transformation of New York City from unsettled lands to today’s remarkable forest of skyscrapers. See “Forever Theater” where you are surrounded with the rhythms of the city. This heart-pumping audiovisual experience sets up your first glimpse of the spectacular skyline. It will take your breath away! The Sky Portal is a 14 foot wide circular glass disc that offers an unforgettable perspective using high definition footage of the streets 100 floors below. Estimated time spent on this tour is 45 min to an hour. There are restaurants right in the Observatory if you choose to stay and eat. You do have free time until the bus departs at 6:30 sharp! THERE ARE SEVERAL OTHER PLACES TO EAT CLOSE BY, BROOKFIELD PLACE IS JUST ACROSS WEST STREET RIGHT ON THE HUDSON. IT'S A BRAND NEW BEAUTIFUL MALL WITH A FABULOUS FOOD COURT AND BEAUTIFUL VIEWS OF THE HUDSON, O’HARA’S GROUND ZERO PUB IS JUST A BLOCK AWAY FROM THE MUSEUM AT 120 CEDAR STREET, A TRADITIONAL IRISH WATERING HOLE HAS BECOME A POWERFUL MONUMENT OF I’S OWN. PLEASE BOARD THE BUS BY 6:20 FOR OUR RETURN TO SPRINGFIELD BY 9PM! FOR CREDIT CARDS PLEASE CLICK THE BUTTON BELOW, A SLIGHT FEE IS REQUIRED FOR CREDIT CARD USE.